Tuneage. Spin another disc under that silver fanged cobra. Here is the version of the song with Lyrics by Zack Hemsey. Three artists and three songs each. You can get a very different feel for the music. I find that much of the work Vangelis does can be quite haunting. Moroder tends to have a stronger dramatic feel to his music. Jarre is just a really full musical experience. You need to listen to a whole album or series of tracks sequentially to appreciate how he paints a musical scene through the various portions of this music. Perhaps, because I am reading more, I am playing more music without lyrics. I do not want to be distracted by the lyrical content while I am immersed in a book or set of boardgame rules. There are many more artists I could highlight here but I will save them for a future entry. I know that my Nephew Justin has an interest in instrumental / ambient / electronic music. I look forward to hearing about some of his favourites the next time we get together. Although this is a niche corner for musical tastes, there are many facets and moods to explore within the genre. Party on Wayne; Party on Garth! It is Musical Monday once again and I find myself thinking of a song from the past. Strange Advance really came up with a wonderful song when they released World’s Away. The song has a haunting ethereal feel that separates it from other music of the period. I saw these guys perform at the Misty Moon in Halifax on Barrington Street. Good times, good memories. Long gone are my days of big hair, but I can enjoy an occasional nostalgic trip back in time and listen to a song that has held up well over time. …all pure genius to me. Happy 40th Birthday Dark Side of the Moon, you have aged remarkably well! I have been a fan of Mike Oldfield since my brother Charlie introduced me to the first Tubular Bells album in the 70’s. It was very different from anything else I had experienced at the time and I marveled at the introduction of instruments throughout the song en route to the climax with Tubular Bells. It must have struck a chord with a number of other people as well, because he went on to release Tubular Bells II, Tubular Bells III, Millennium Bell, and most recently, Tubular Beats. Each release is an interesting and artistic take on the old that creates something new and fresh. Here are a couple of videos for your viewing and listening pleasure. Even if you are not familiar with Mike Oldfield as an artist, you probably know the iconic theme song the the movie “The Exorcist”. from the original Tubular Bells album. I really enjoyed the movie. The first time I watched it I liked it; somewhere around the third viewing I loved it. In addition to some of the most quotable lines in a movie, there were musical moments of genius. I will share a couple of them with you now. For the first video, I really had no idea that was Kenny Rogers. That was from Kenny when Kenny was cool. I have a new appreciation for his music. The second video is a great cover tune. I remember a day long ago when I used to consider covering a song a form of musical sacrilege. Over the years I have not only mellowed on that stance, but I have come to appreciate the artistic license some people take when doing a cover tune. They put their own stamp on it and make the song their own. Booya. Unless I create a personal mission or theme to my blogging activity, it becomes very sporadic. I think i will try to make a blog post on Mondays that will focus on music or tunes that I have recently discovered or dug out of my archives. Today, I am sharing a gem I found years and years ago on YouTube. Visit from the Dead Dog by Ed Harcourt. It really seems silly to me that music companies enforce copyright infringement on YouTube. I would say that 80% of my music purchases in recent years are due to being exposed to cool music on YouTube. Seeing as how I am nostalgic today with my musical musings, here is another song that I discovered years ago that by Oren Lavie. The song is called Her Morning Elegance. I notice that the this video is making the rounds on the internet again. I was surprised to see it show up again considering Internet trends and the fascination with all things new and viral. One thing that stands out about both of these songs for me is the fun and clever videos. They are well matched to the music. Enjoy. I basically took a year off blogging, now it is time to hop back into the saddle and turn on the tap to spew my stream of consciousness once again. Not riveting prose or earth shattering revelations; just things that happen to be top of mind or tickle my fancy. Today I would like to share a band with you that I have recently discovered. The music is a bit on the harder/edgier side, but I quite enjoy the sound and vocals. I present you with some Scandihoovian tunage: Volbeat. I ended up buying a couple of their albums on iTunes and I am really digging the tunes. I simply LOVE discovering new music. Party on Wayne / Party on Garth! I discovered Pink Floyd in 1975/76. I was 11 or 12 years old. 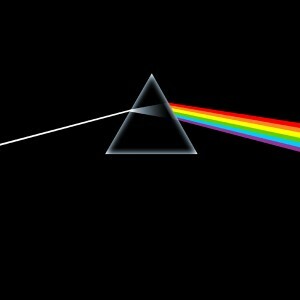 I bought and listened to “Dark Side of the Moon” after hearing my brother Charlie describe some of the songs. I remember listening to the album and being completely enthralled with the music & lyrics. One song in particular resonated with me: Time. Odd thing, at that young age I was blown away by this song. The music is very powerful and the lead in is quite dramatic. The real kicker is the lyrics; they just reached out and grabbed me. There I was, a young boy, getting the concept at how precious a commodity time really was and that we should not squander it. It was a very subtle and profound introduction to the concept of time as our most precious of currencies. You can also earn another dollar, but an hour spent is gone forever. I would like to think that the genesis for my gratitude of time is that song. I can look back through the years and recall how it made me stop and think. It was at that point that I really started paying attention to music. For the most part, top 40 songs did not call to me much. 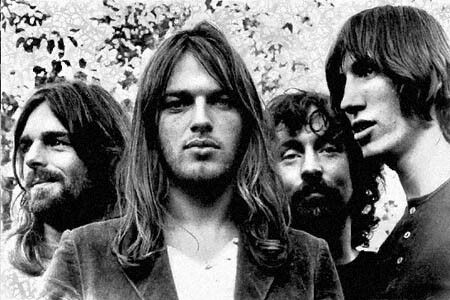 Pink Floyd had some big shoes to fill and started me on a path of heightened musical appreciation. All from a song that touched a little boy’s heart and made him reflect differently on the commodity of time. Thank you Roger Waters, David Gilmour, Nick Mason, & Richard Wright. Hours and hours of enjoyment as well as provocative lyrics and compelling music. I have always been interested in music; I even tried my hand at a few instruments to see if I could make my own. I can’t. That does not stop me from enjoying music. Our CD collection must be around 1500 CDs now. I just find music to be so powerful and evocative. I am in awe of the talent that some musicians possess. Music is great to have on CD, but experiencing a talented musician live in a small intimate club is top of the pops for me. Last night was no exception. 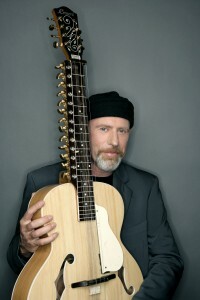 Kathy & I had tickets to go see Harry Manx at the Regina Performing Arts Centre. Incredible. He has mad guitar skillz for sure. Not to mention, the banjo, vocals, song writing, and a fusion guitar-sitar instrument. He blends East Indian influences into his blue music to create a unique and engaging sound. Kathy & I were both very captivated by the show. The amazing thing is that I had never even heard of Harry Manx until a coworker lent me a CD about 9 months ago. Wow. The CD got a lot of airplay, and we ended up buying 5 more CDs at the concert. It is great to support live music. It is such an honour to have talented musicians come to Regina. It amazes me that I have not heard of Harry Manx until recently. It also amazes me that I almost missed hearing about this concert. If Junior from OHanlans’ had not scooped up tickets this concert would have blown in and out of town unannounced. I need to to a better job of monitoring venues and upcoming events. …and many more that I cannot think of right now. How blessed am I that I have had the opportunity to enjoy live music. I am feeling very humble this morning as I write this. All this week, the details of the earthquake and tsunami in Japan are unfolding and it makes all of these reflections and gratitude much more poignant. I truly & deeply am grateful for so many things. With the concert from last night still in my mind’s eye, I bow and give thanks.